Towers Square in Tallinn is situated outside the city walls, to the north of the Old City. The area got its name from the located here city wall and medieval towers. This place was used for different purposes. In this place, next to the city wall, was herded cattle, hay for hay for cows, building military defenses and arranged exhibitions. In the years 1931-33 on this place was created a park. Medieval towers and walls give this park a special touch. Since 2009, in summer, the Towers Square in Tallinn hosts the International festival of flowers. 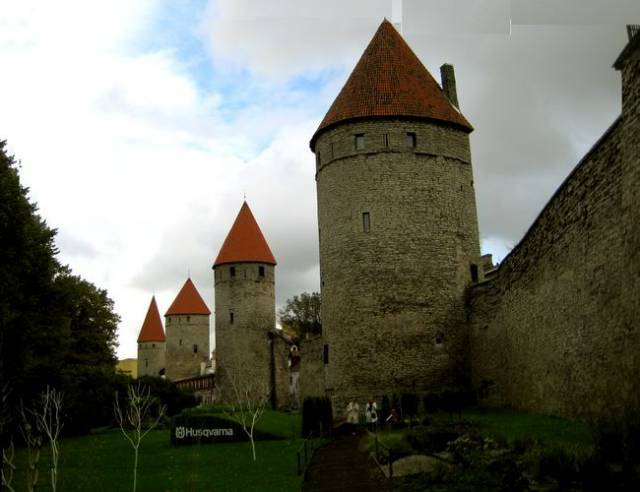 The photo show medieval towers and walls in Tallinn. See the attractions and interesting places location on a Tallinn map.